Fertilization and soil management service of Your Way Tree Service maintains the health of your land’s shrubs, plants and trees. 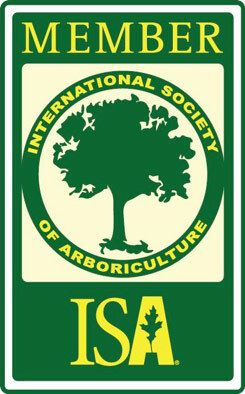 We have ISA Certified Arborists and Horticulturalists to make sure that your property’s landscape remains as healthy as possible. Our fertilization and soil management service includes soil testing, deep root fertilization, pH adjustment and aeration, among others. We also add beneficial bacteria and fungi to make sure that your plant’s health is maintained. The health and vitality of your trees and shrubs will be significantly improved through the application of proper fertilizer and management of soil. With the right maintenance, your trees and plants will be more resistant to diseases and insects. Because their health is maintained, your plants can also resist the damages of drought during extreme dry condition. We usually recommend application of fertilizes to trees and shrubs in late fall months. At this period, the plants are hardened. It’s also a good time to fertilize the soil when it’s free of frost. This is during early spring. The fertilization rate is crucial in the health of your plants. Too much fertilizer can cause overgrowth and little of it can cause plants to be infested with insects. With our ISA certified professionals, you can be sure that the right amount of fertilizer will be applied. Our soil management service ensures that your plants will receive suitable nutrients. Remember that the trees are only as healthy as the type of soil they are growing in. The structure of the soil is important for the growth of the root. With our service, we can improve the poor soil condition of your property as we add some fertilizers and organic materials. Why Choose Us for Fertilization and Soil Management? There’s a reason we’ve been awarded as the Best Tree Cutting service in the City of Tarzana for four years in a row. Our staff is the best in this field. We don’t only employ certified arborists but we also have Certified Tree Risk Assessors. Our crew has a long history of property safety. The success of our business is the result of our company’s investment in state-of-the-art technologies for cutting trees and maintaining them. Our company’s fleet will include chippers, aerial lift trucks, stump grinding machines and other pieces of equipment that can make cutting of trees easier and safer. For more than 20 years, we’ve already served thousands of clients throughout the Greater Los Angeles area.